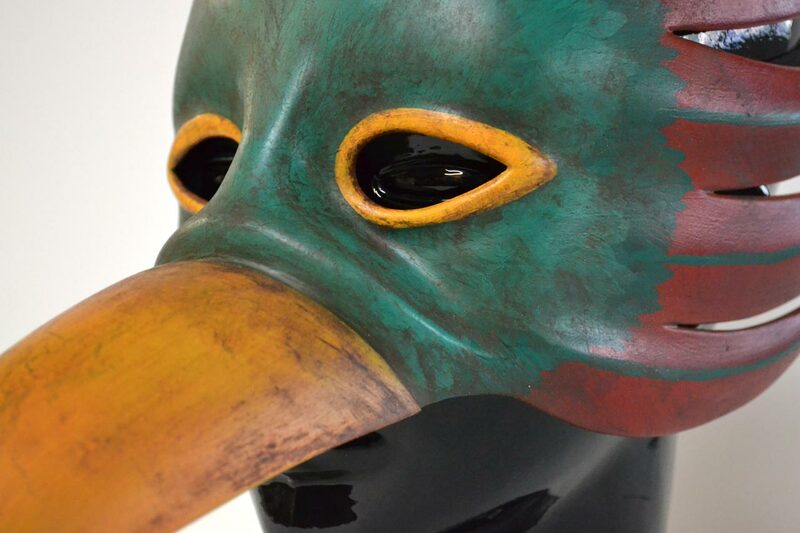 The two masks shown here are replicas of the remarkably creepy party masks worn by the inhabitants of the underwater city Rapture in Bioshock. 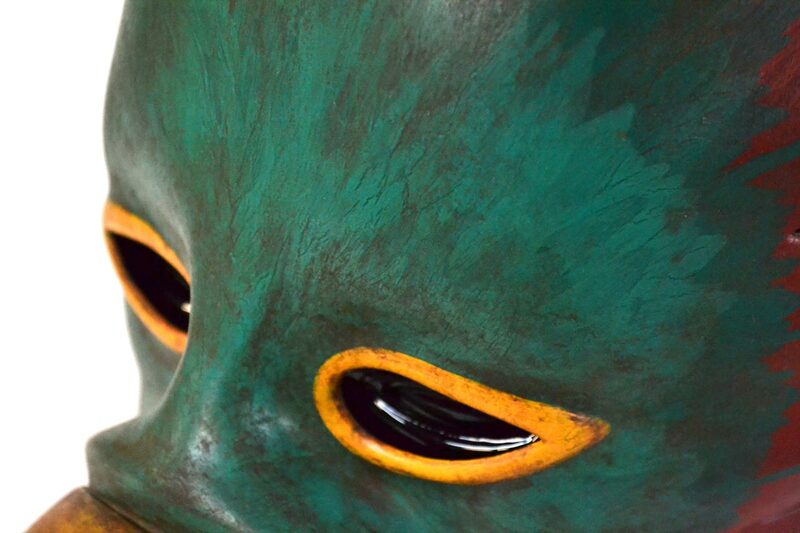 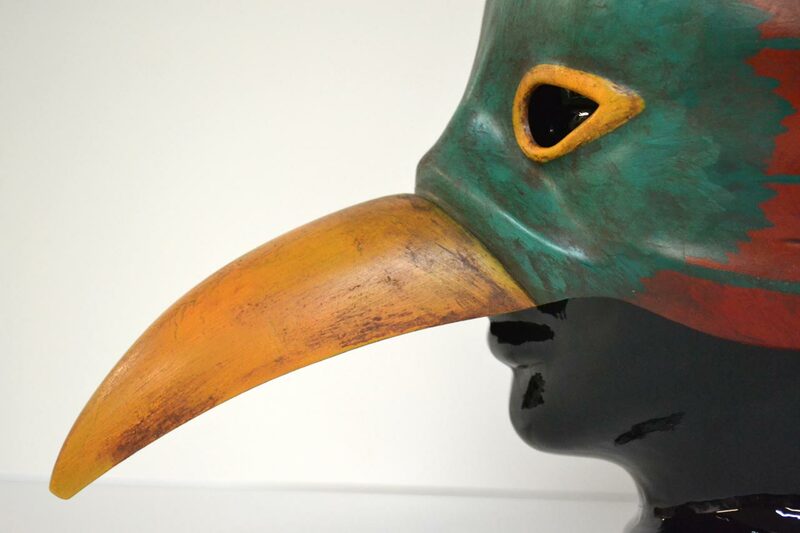 Both masks have been painted to emulate the look of decaying and cracking paper maché, dirty with the filth of being worn for years longer than they were ever meant to be used. 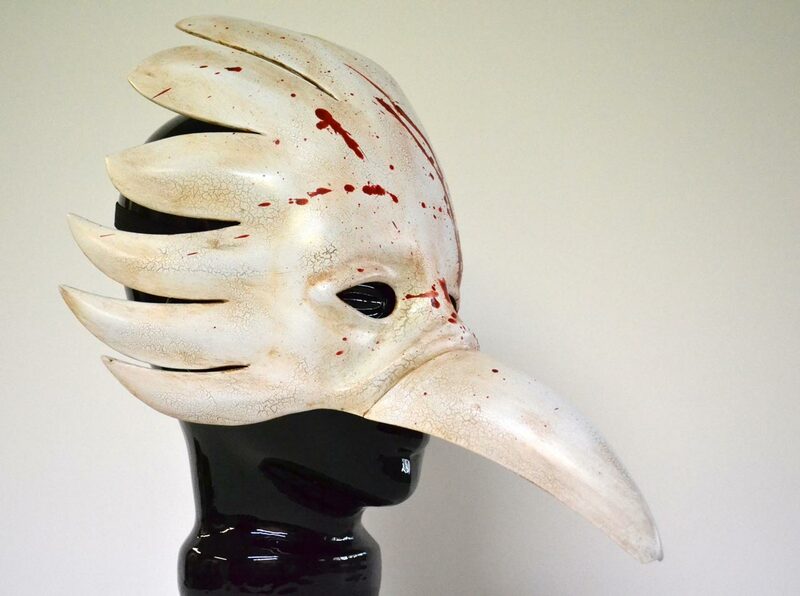 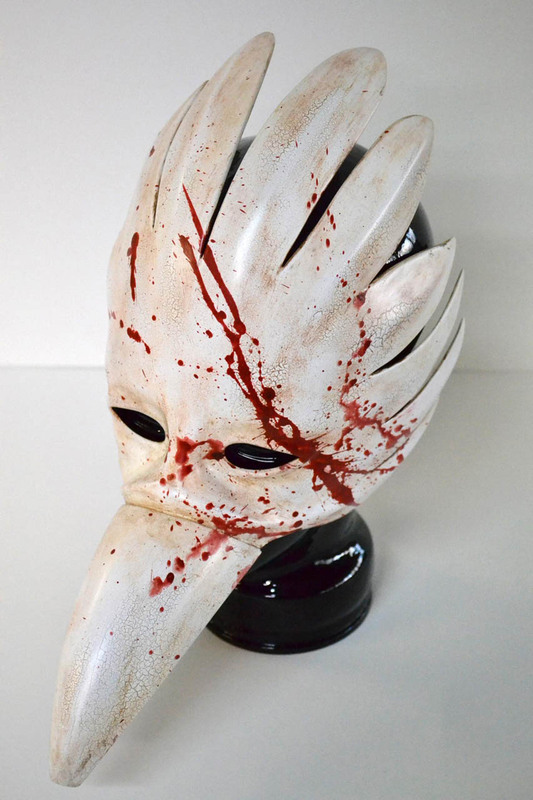 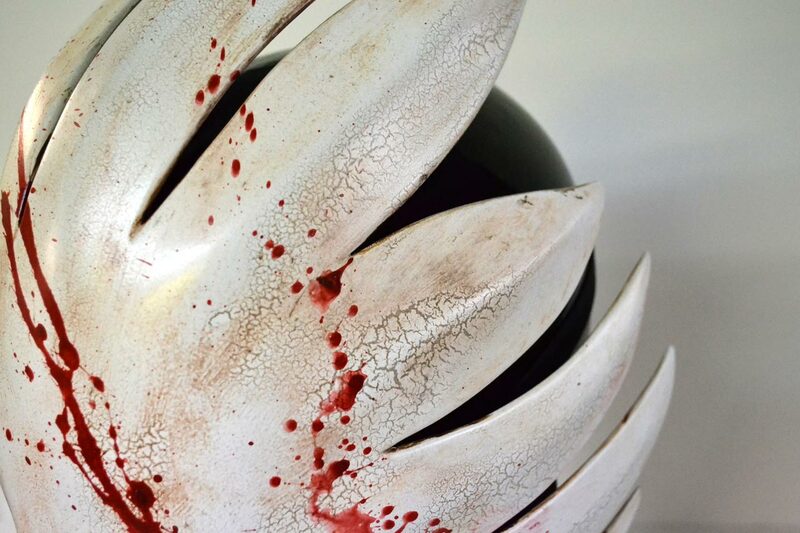 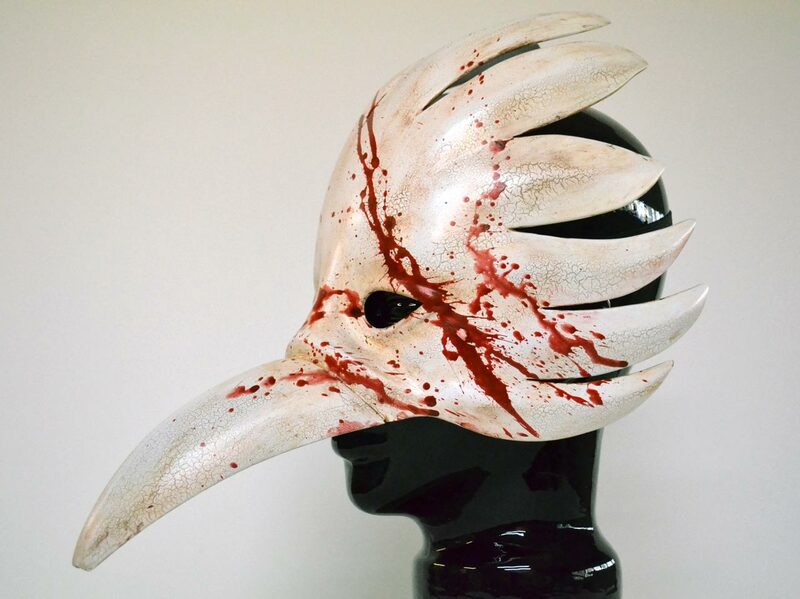 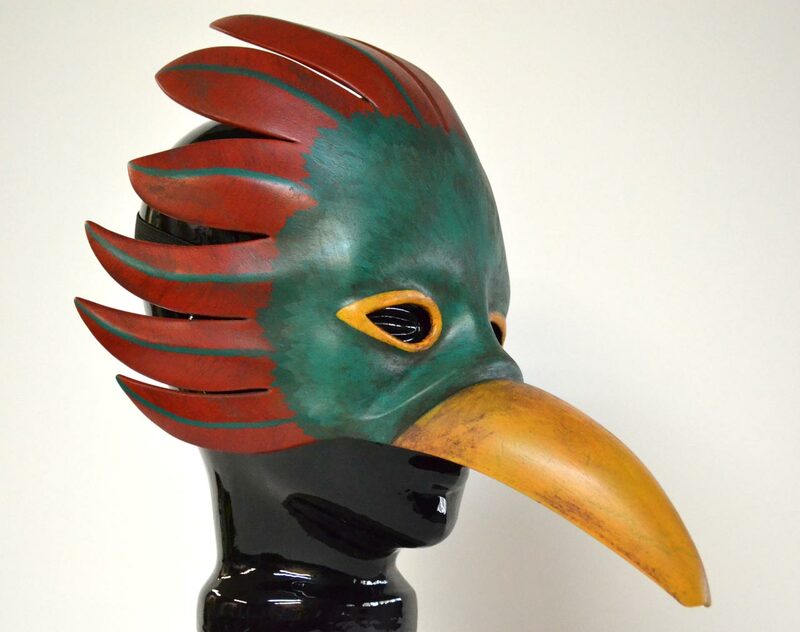 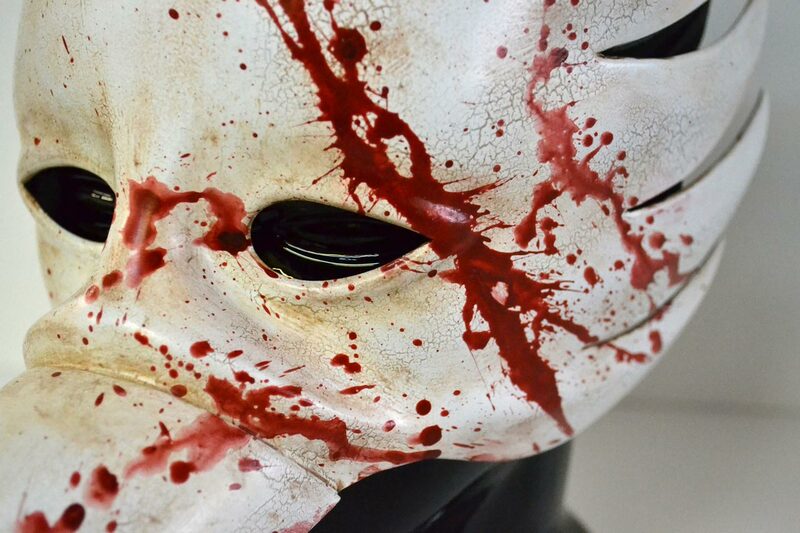 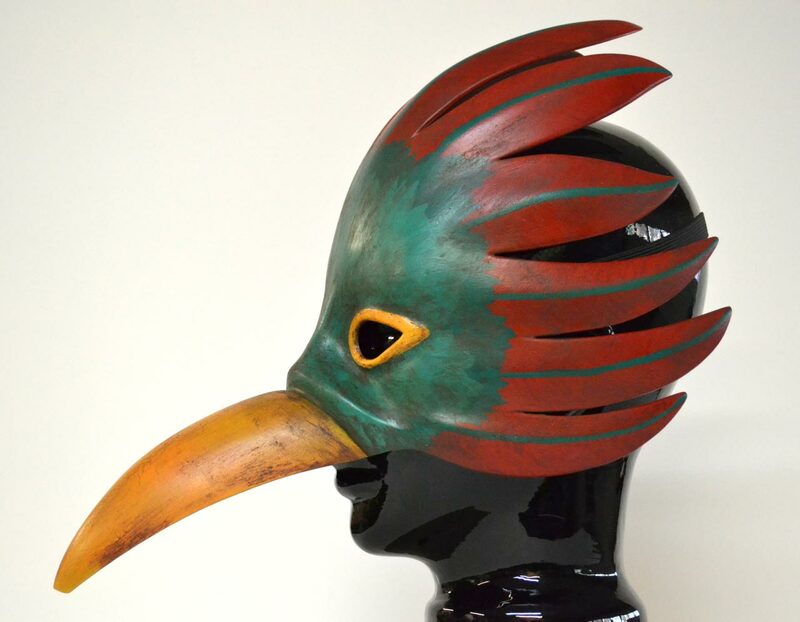 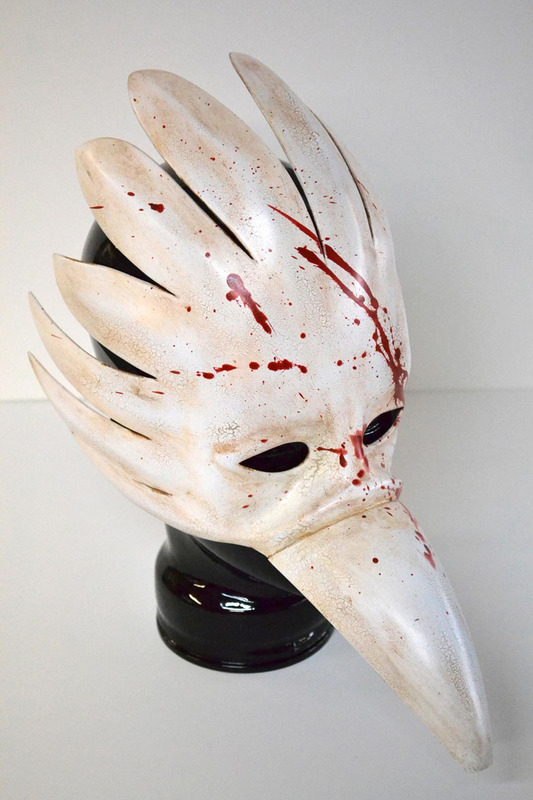 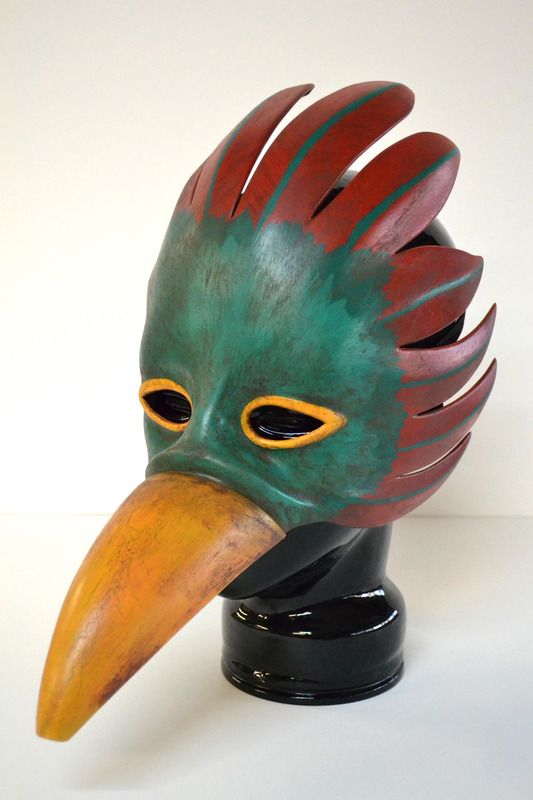 Splicers are violent and murderous psychopaths, and the white bird mask reflects the lifestyle of one of the wearers in a less than subtle way. 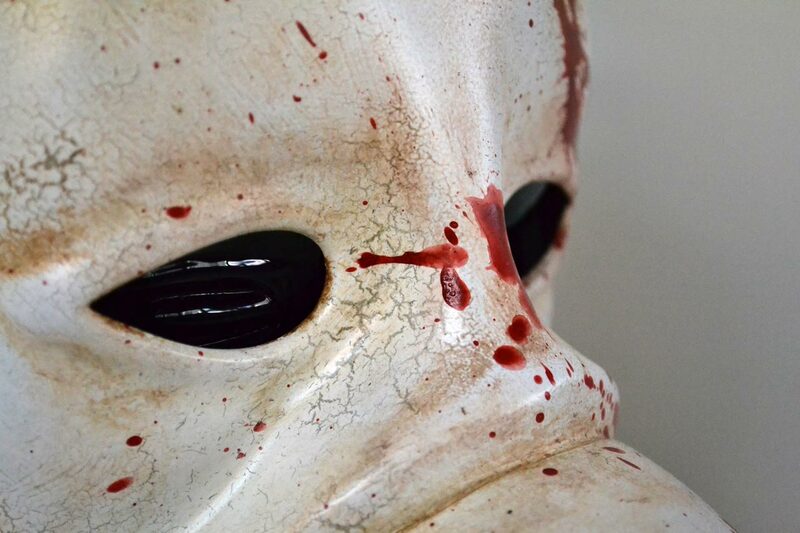 The colored mask is painted in the style worn by the splicers Sander Cohen sends the main character to kill in the “Fort Frolic” segment of the game. 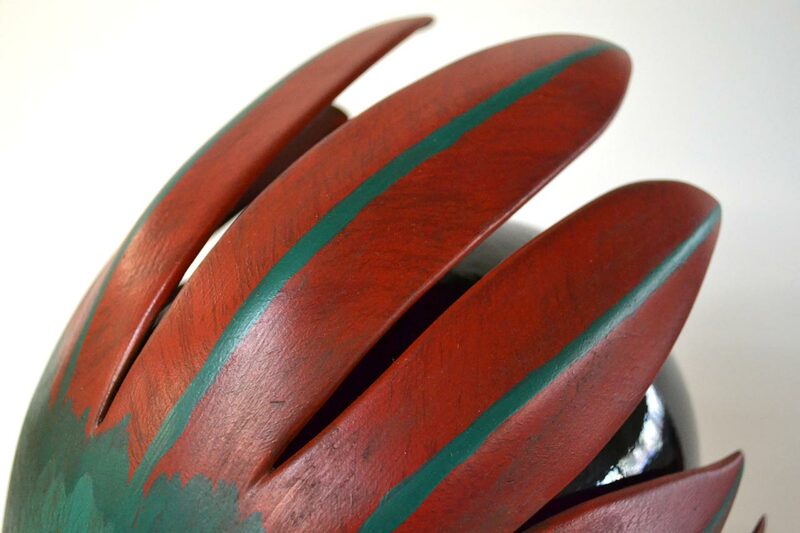 Both pieces are vacuumed formed styrene plastic, making them very lightweight and comfortable to wear.